Online Municipal Court Citation Payment now available! posted on Tuesday, November 15, 2016. 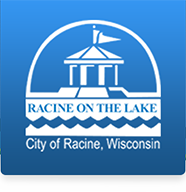 You are now able to pay your City of Racine Municipal Court Citation online with VISA, MasterCard, Discover or American Express cards accepted through the Official Payment website. Click Here to search for municipal court citations by your ticket or state issued id number. Dont forget you can also pay your parking tickets online now as well, Click here to search by your license plate or ticket number.